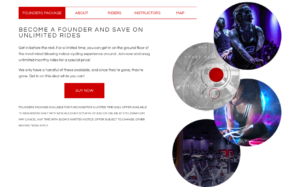 CycleBar Founders Package in Naples, Florida!! Click “BUY NOW” and get started. Unlimited classes & special events for $3/day. You belong. What is a Founder’s Package? It’s an unlimited ride membership that will only be available during pre-sales. 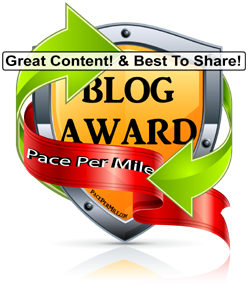 (Get it while you can) The $99/month unlimited ride package is 40% savings off the normal $169/month. And it gets better!! The 99 dollar Founders Package is good for unlimited months. 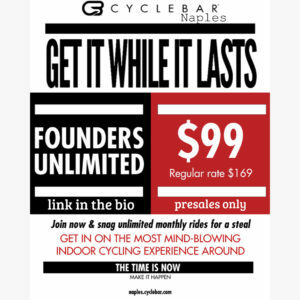 That’s right, a lifetime guarantee of unlimited rides at CycleBar Naples for $3.30/day!! INCREDIBLE! There is no contract, buy it just to try it. Cancel anytime, the Founders Package will come off the market the first day of soft opening.